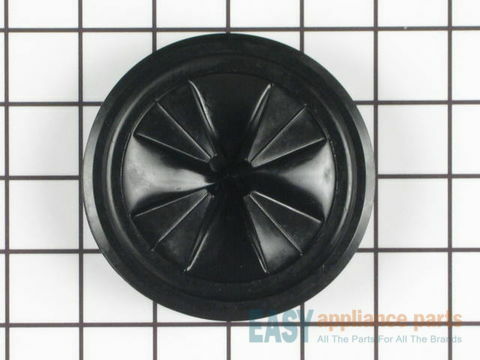 This flexible black rubber cover fits over the top of the sink drain to form a watertight seal between the disposal mounting ring and the sink flange. It is also known as a splash guard or a mounting gasket. It opens up in the middle and will allow you to feed water or food items into a garbage disposal while keeping liquids and smaller food particles from splashing back into the sink. 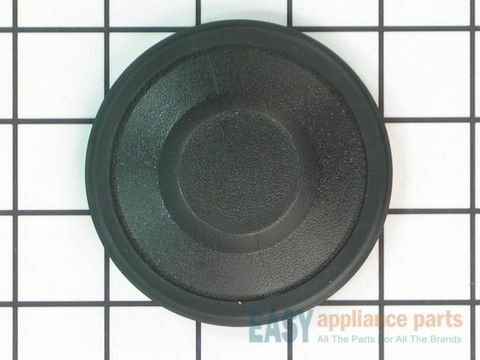 This part is approximately 4 inches in diameter and is a genuine OEM part. 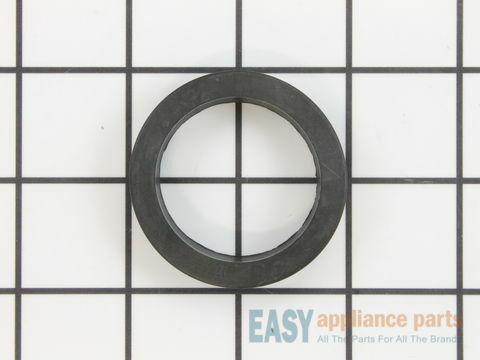 This black rubber gasket works in conjunction with the end bell and the tailpipe in your food waste disposer. The gasket is located between the end bell and the tailpipe to prevent water from leaking out on to the floor. If you notice water on the floor you may need to replace the gasket. This part is a genuine OEM part. Please remember to disconnect the power before starting your repair. The hose clamp helps secure the hose in place on the pump to avoid the pump or hose from leaking water onto your floor. If you notice your appliance leaking you may have a crack in the hose or the clamp is loose and will need to be replaced. This part is made of metal, measures approximately 2” in diameter and sold individually. This is a genuine OEM part. 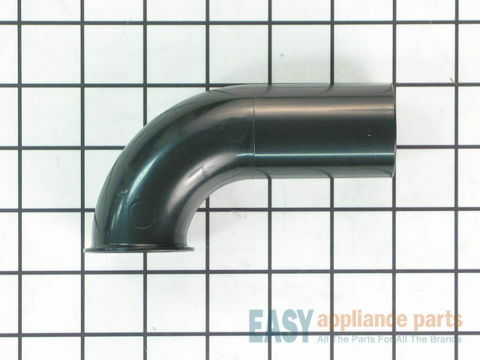 The drain pipe, also known as a tailpipe, works in conjunction with the drainage in the garbage disposal plumbing unit. The drain pipe attaches to the house drain plumbing for water to pass through the garbage disposal. 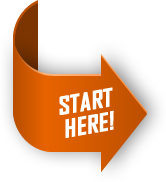 If there is water leaking the pipe may be damaged and will need to be replaced. This part is black in color and measures 5” in length. This is a genuine OEM part. Please remember to disconnect the power and water supply before starting the repair. 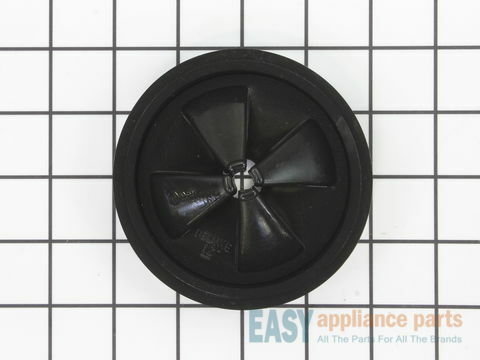 The drain stopper is located over the top of the sink drain and is used to prevent water from draining from the sink through the garbage disposal. 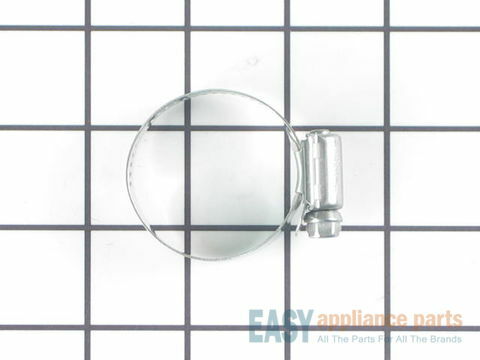 This is a genuine OEM replacement part that includes the silver metal stopper and the rubber gasket. 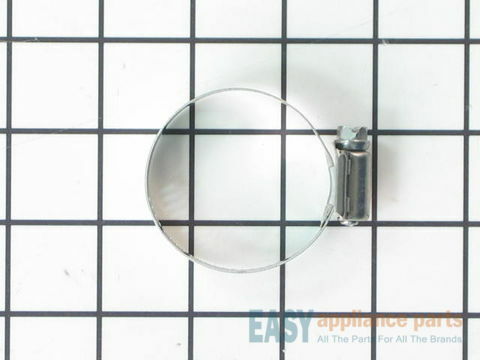 This part is a drain stopper for your garbage disposal. It is located over the top of the sink drain and is used to prevent water from draining through the garbage disposal. This is a genuine OEM replacement part that is a flexible rubber cover and is black in color. 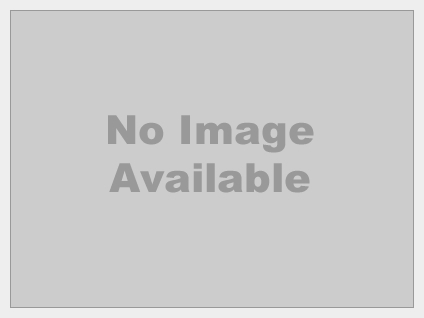 Below are the most popular Maytag Garbage Disposer models we have.